Nokia 130 is a Nokia-branded mobile phone manufactured by HMD Global and was released on 17 July 2017. Nokia 130 Dual SIM Feature Phone Specifications and Price in Pakistan. If you are looking for the dual sim feature phone in Pakistan than the Nokia 130 is the best choice. It is made of with a polycarbonate shell that keeps its colour even when scratched. It’s a durable feature phone especially built to take on everyday life with the glossy front and a matte back finish. The Nokia 130 comes with a 1.80-inch display 240 pixels by 320 pixels of resolution. It includes a 4MB of RAM and has an 8MB of internal storage that can be expanded up to 32GB. It also includes a rare facing VGA camera that is clogged at 0.3-megapixel. The Nokia 130 2017 is powered by a 1020mAh removable battery that offers up to 36 days of standby time on dual sim and the dimensions are 111.50 x 48.40 x 14.20 (height x width x thickness). It is also a dual SIM device and also features Bluetooth and FM Radio. It features an MP3 player and up to 32GB expandable storage, so your music collection is always close to hand. The Nokia 130 comes with the all-time favorite games including Snake Xenzia game, plus 5 try-and-buy Gameloft games. It is available having three color options in Pakistan including red, grey and black. The Nokia 130 2017 Price in Pakistan is Rs.3,525 and you can purchase it from Advance Telecom. Nokia 130 is a Nokia-branded mobile phone manufactured by HMD Global and was released on 17 July 2017. 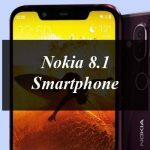 Nokia 130 Dual SIM Feature Phone Specifications and Price in Pakistan.